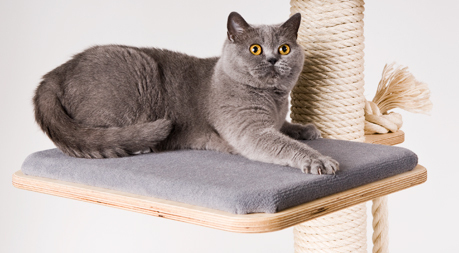 Our cat tree 1-post system consists of a cathouse with an integrated sisal scratch post, on which you can build your individual cat tree. 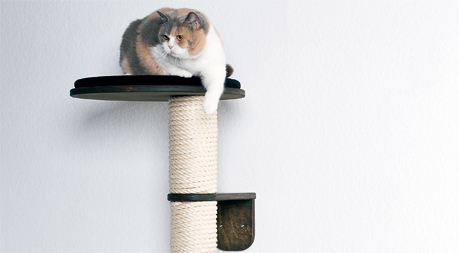 Ceiling height cat trees are extremely stylish cat trees of a light appearance that are tensioned between the floor and the ceiling. 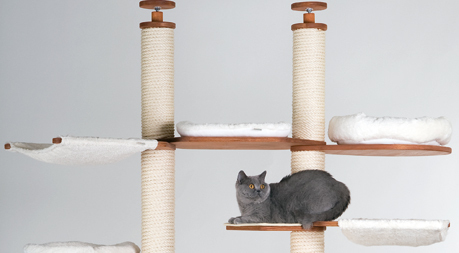 Our wall support makes tall cat trees for great post climbing possible. 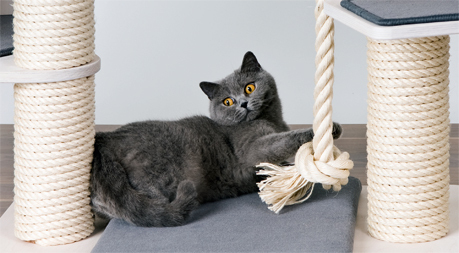 Profeline wall mounted cat trees are a new generation of modern and innovative cat trees. Cathouses and padded platforms are crafted from high quality and flexible birch plywood and impregnated with oil wax. 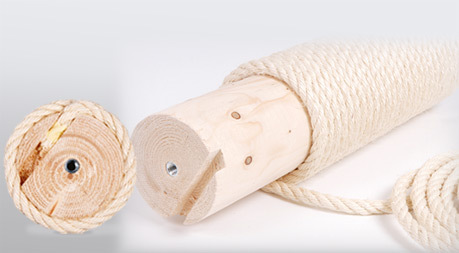 The sisal poles are produced by solid wood. 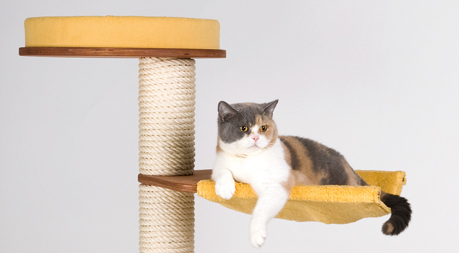 Every Profeline cat tree allows you to choose the wood finishes and cover colours freely. 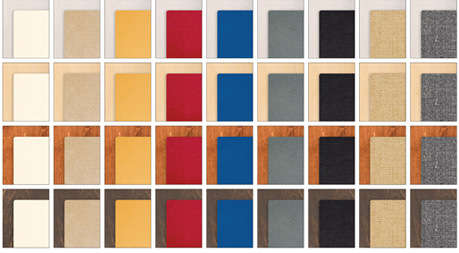 Design your own cat tree from a choice of 4 wood finishes and 10 different covers to match your home. 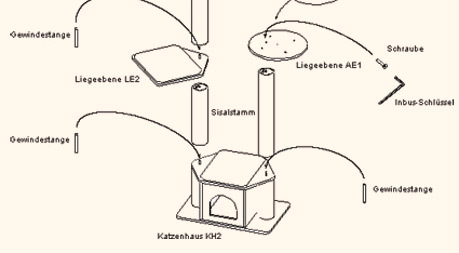 Very simple to install, because we supply the cathouse fully assembled – no self-assembly kit.